Senior officer says war with Hezbollah could involve raids by units of 50-70 terrorists and 'huge damage' to Lebanon. 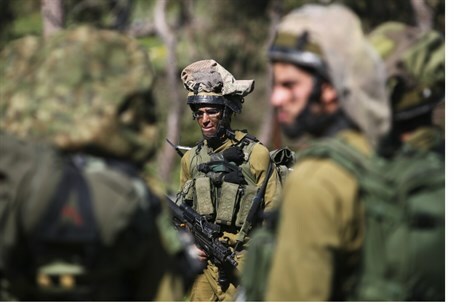 The IDF estimates that in a future war, Hezbollah will be able to grab small parts of northern Israel, like the Ramim or Hasulam ridges along the border, but the IDF will take them back "within a few hours." The matter currently on the minds of residents of northern Israel, more than any other, is that of terror tunnels. The senior officer said: “I am not familiar with a tunnel in the sector that is ready for attack.” He added, however: “Hezbollah entered the underground world before Hamas even thought of it and it was Hezbollah that explained to Hamas how to prepare for such an operation – the organization has 'been there' for a long time. Regarding the possibility of a third Lebanon war, the senior officer said: “There will be attempts to carry out attack moves, both against civilians and against soldiers. If it took 50 days in Gaza, in the north the war could take about four months. "The campaign can be short but it can also be long. I think that a fast, aggressive maneuver into the depth of the territory will dramatically influence the campaign over time. The important thing is, what will follow the campaign, in terms of creating deterrence.